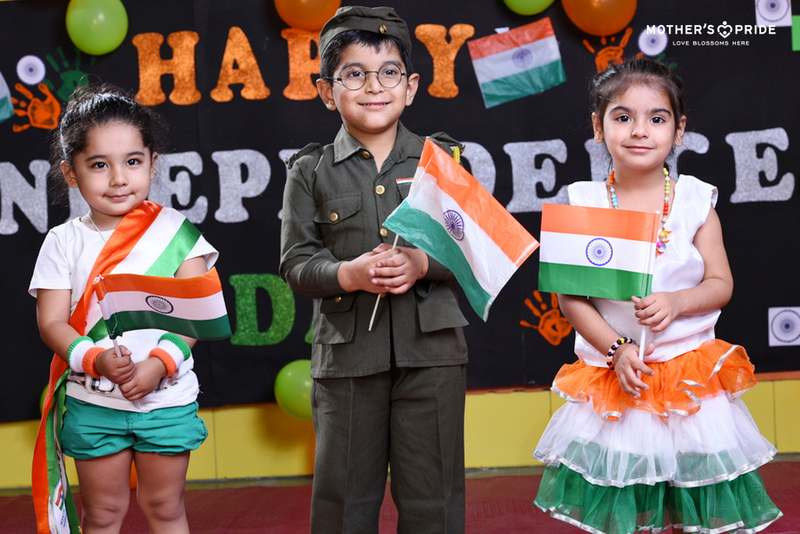 With pride and spirit of patriotism in hearts, national days, are filled with a sense of joy and gratitude, towards our nation’s heroes and leaders, those who paved the way for a brighter future. 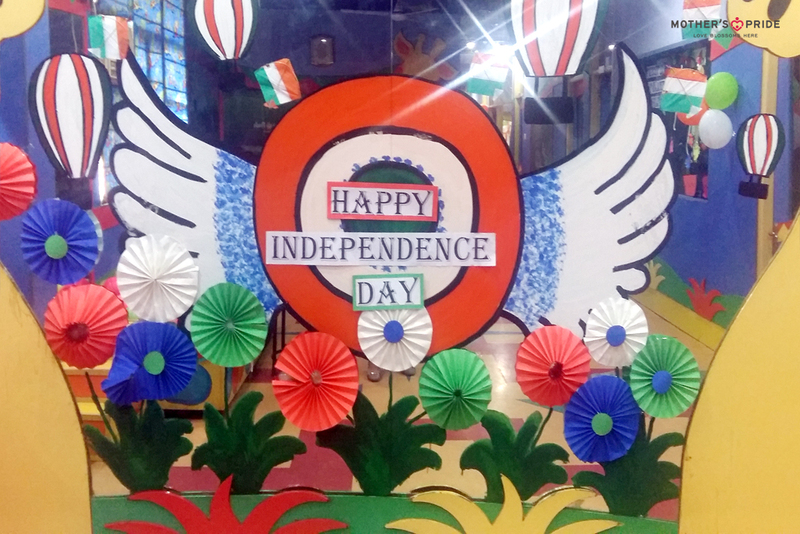 Today our students took pride in glorifying and celebrating the spirit of freedom. 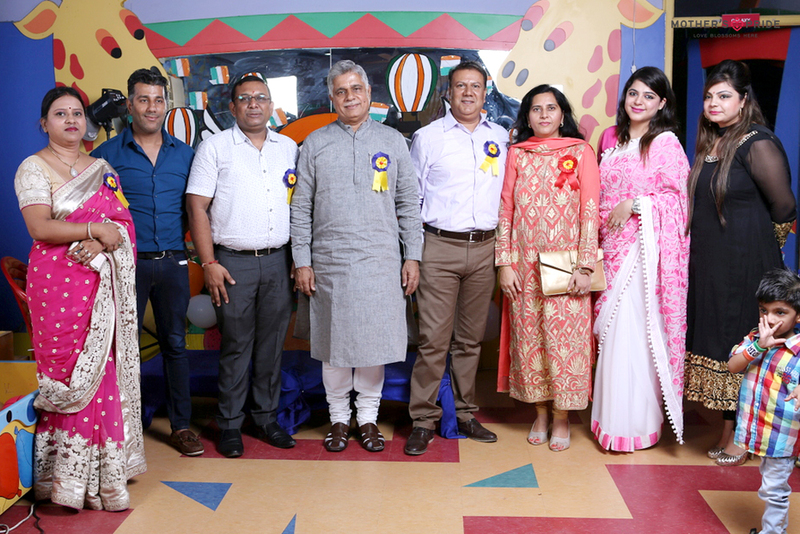 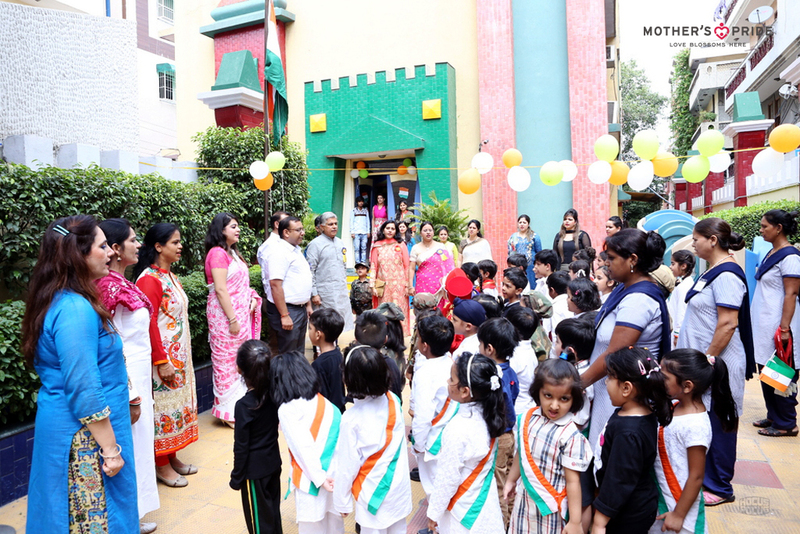 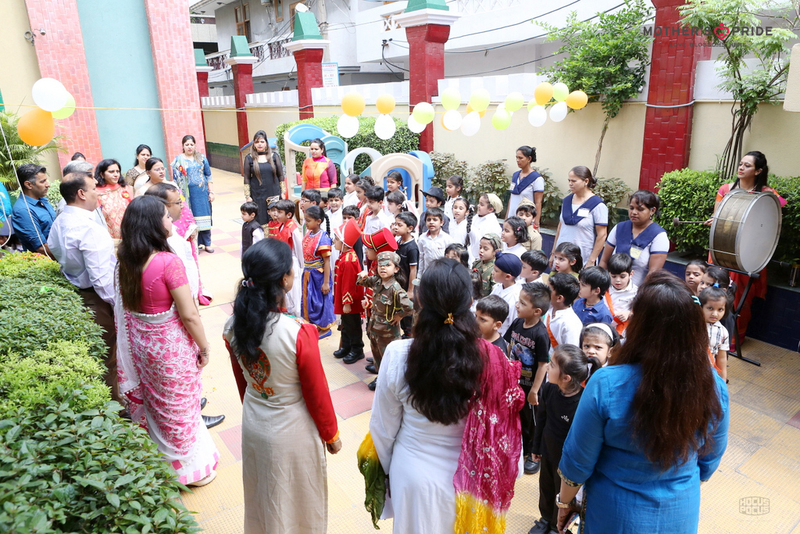 To mark the importance of the day, a grand celebration was held at Mother’s Pride. 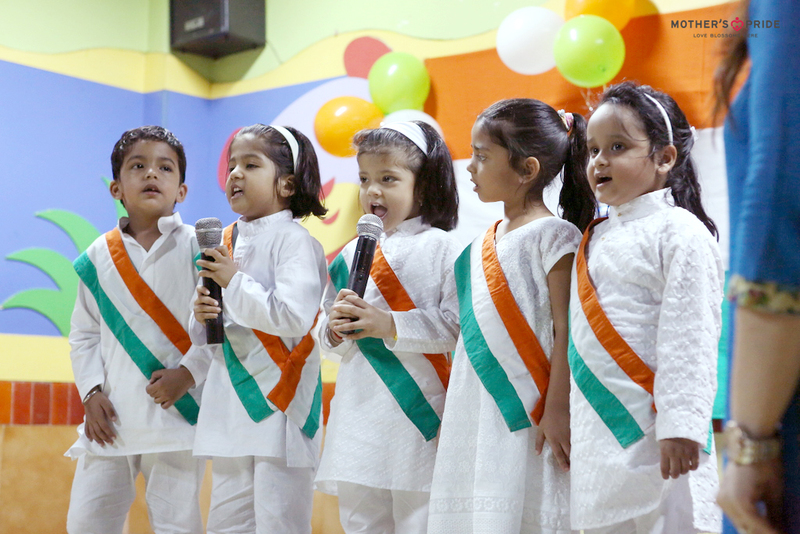 The branches resonated with patriotic songs and were decorated beautifully in tri-colors. 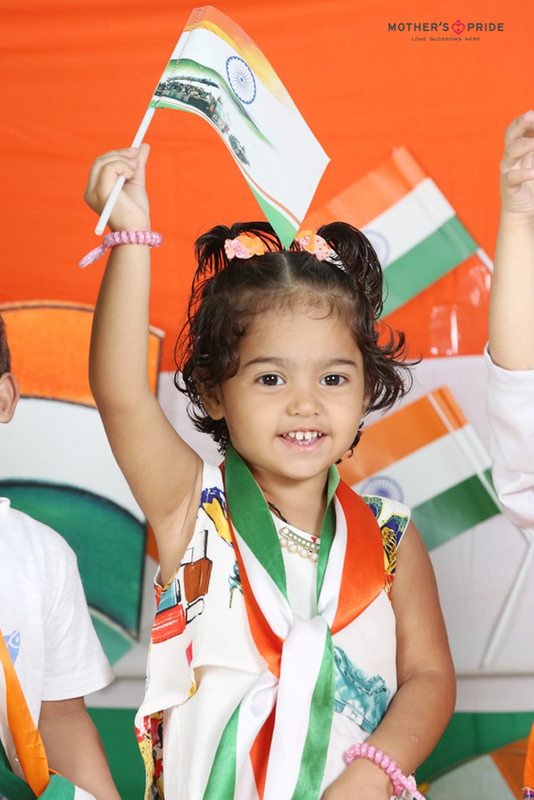 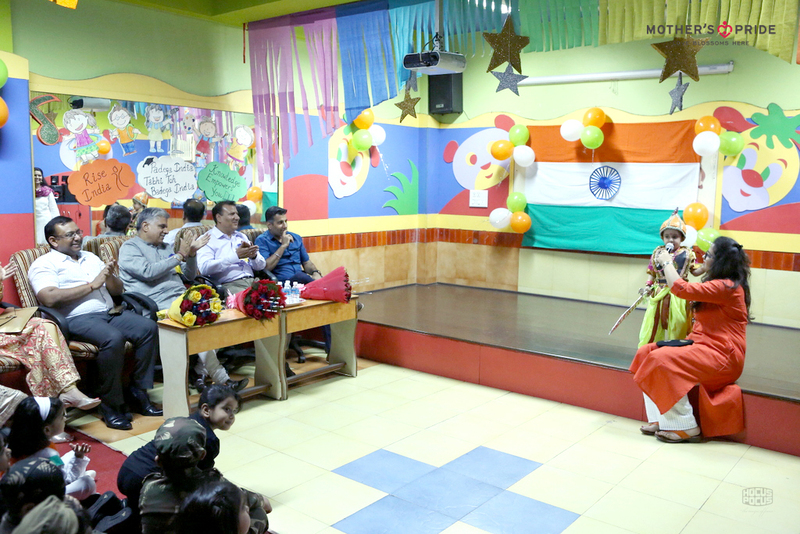 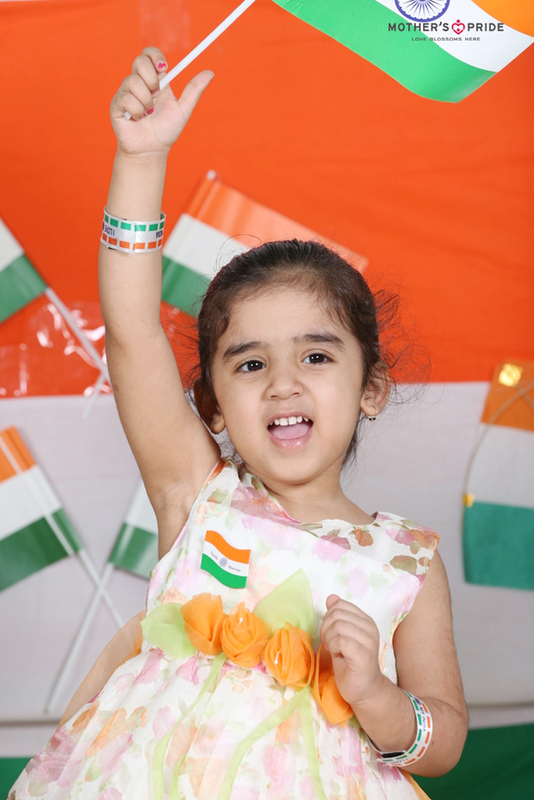 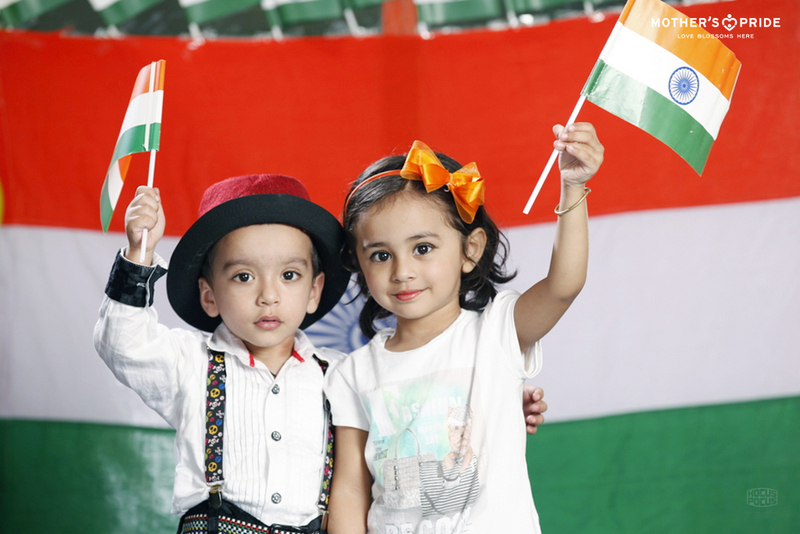 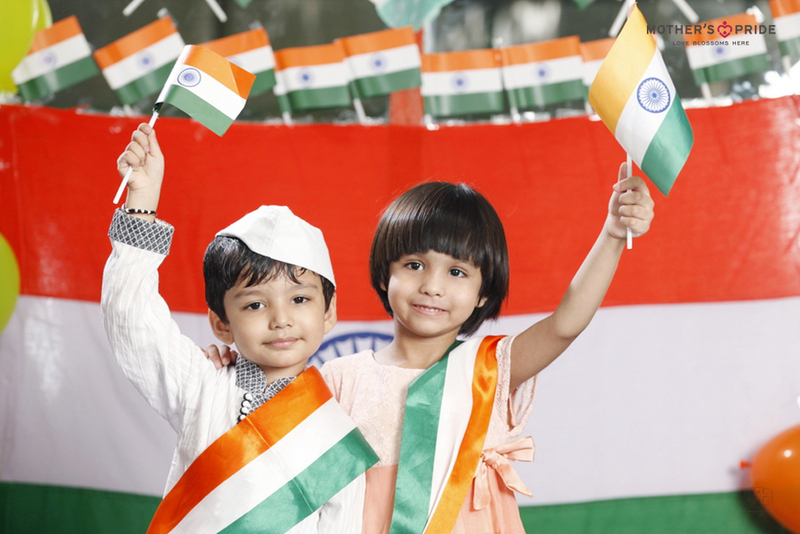 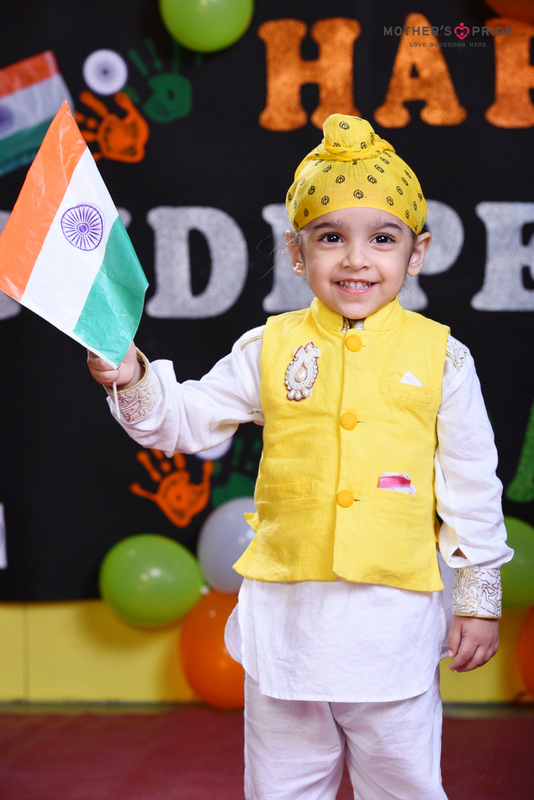 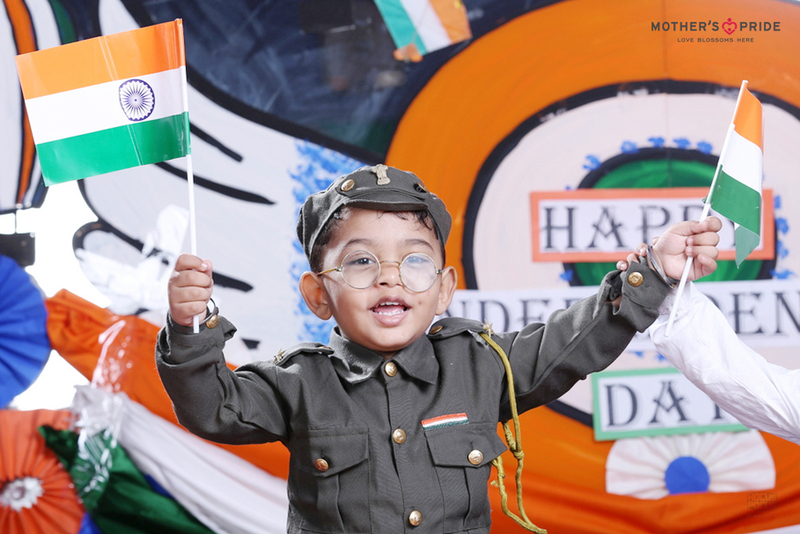 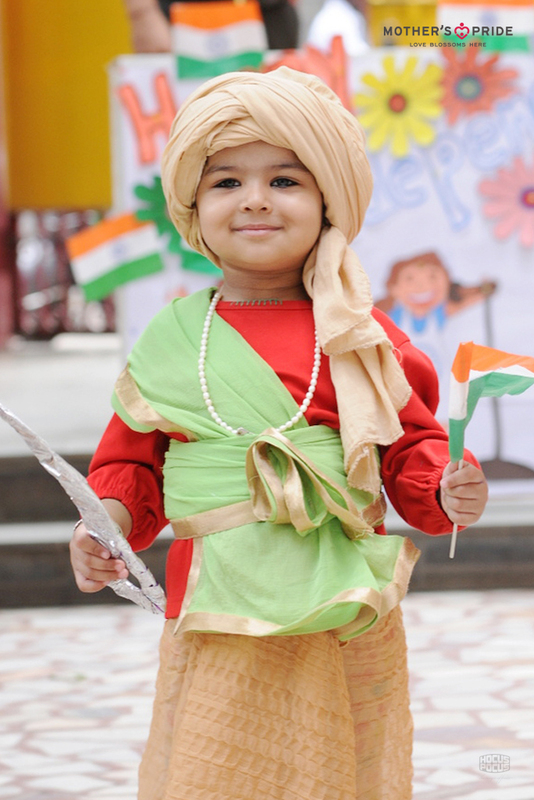 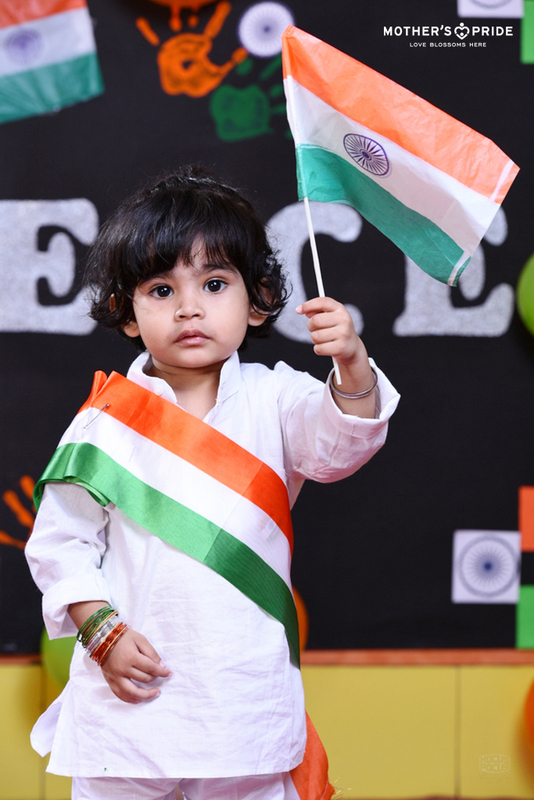 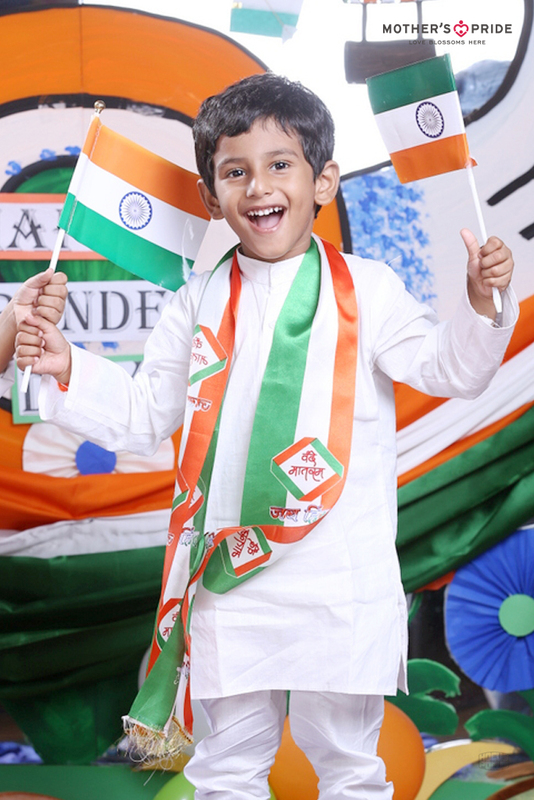 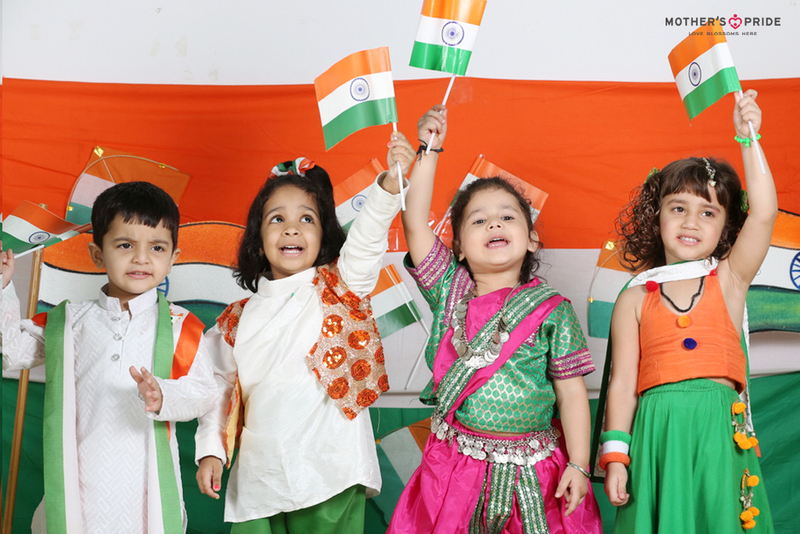 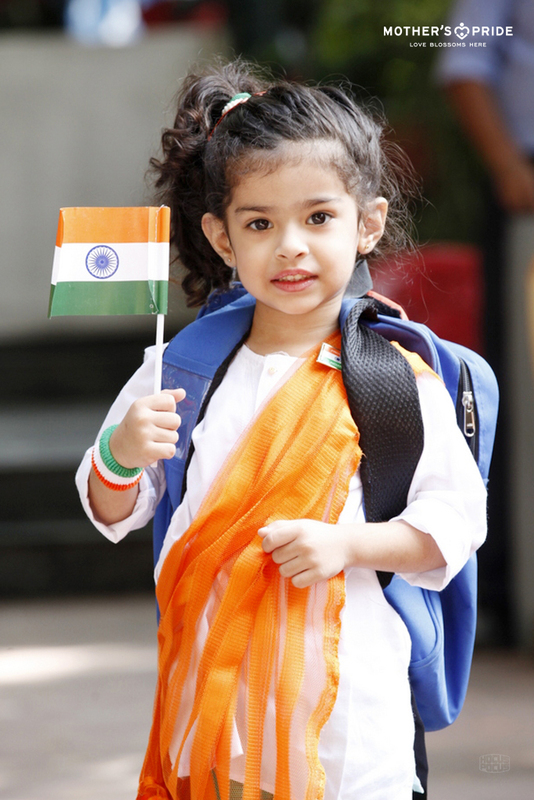 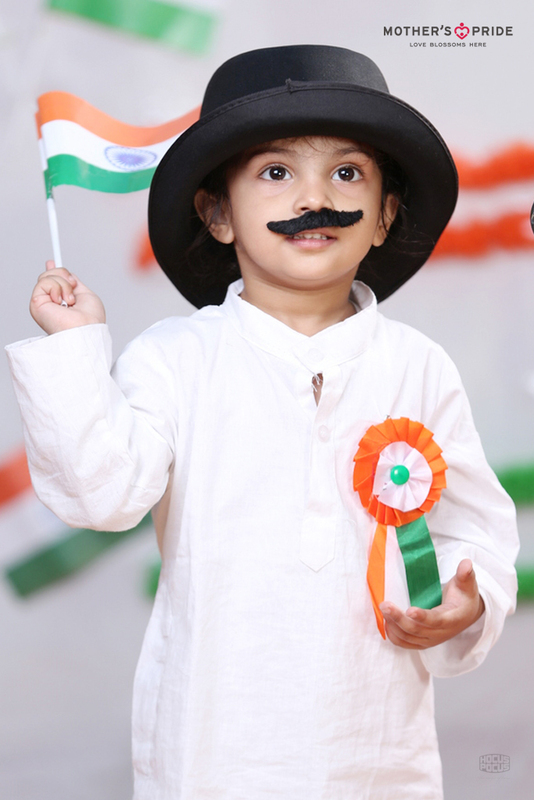 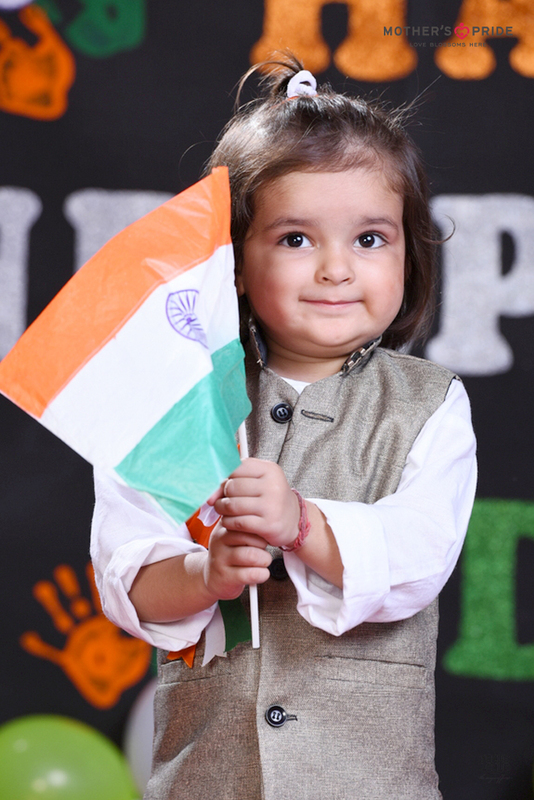 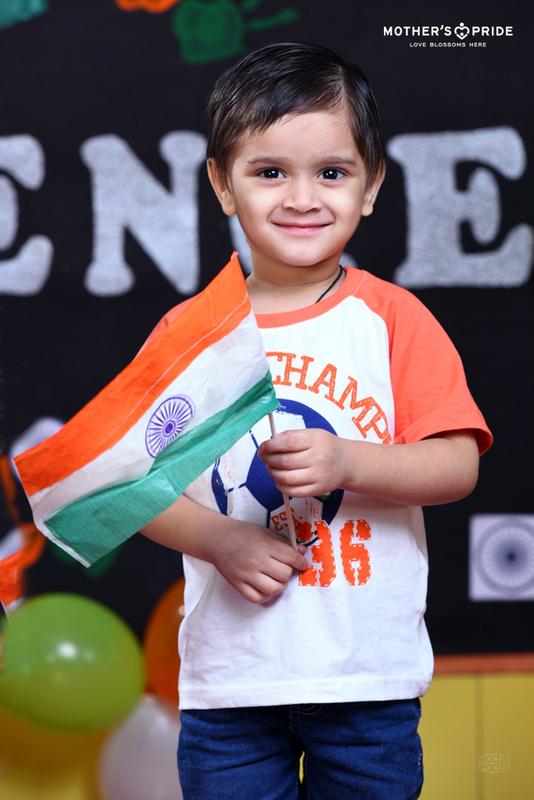 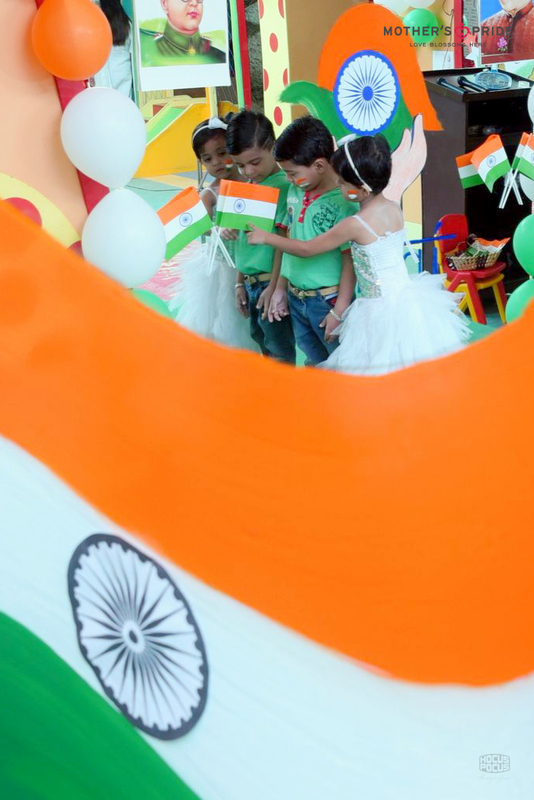 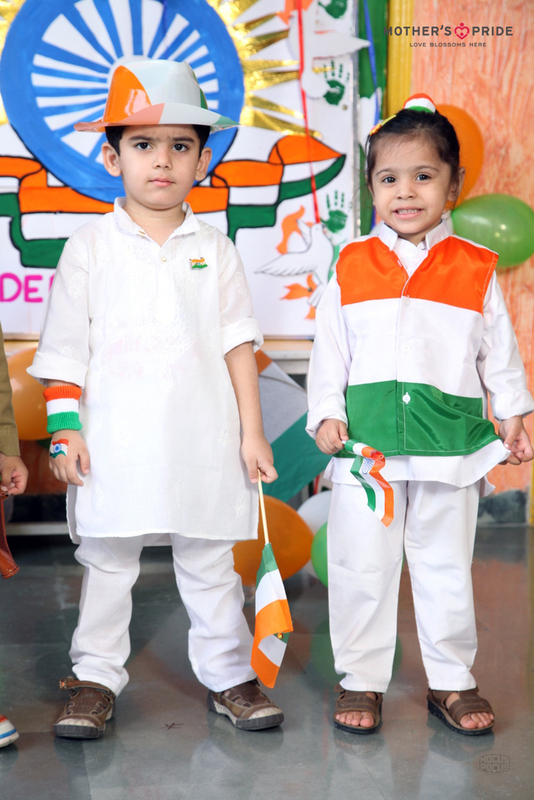 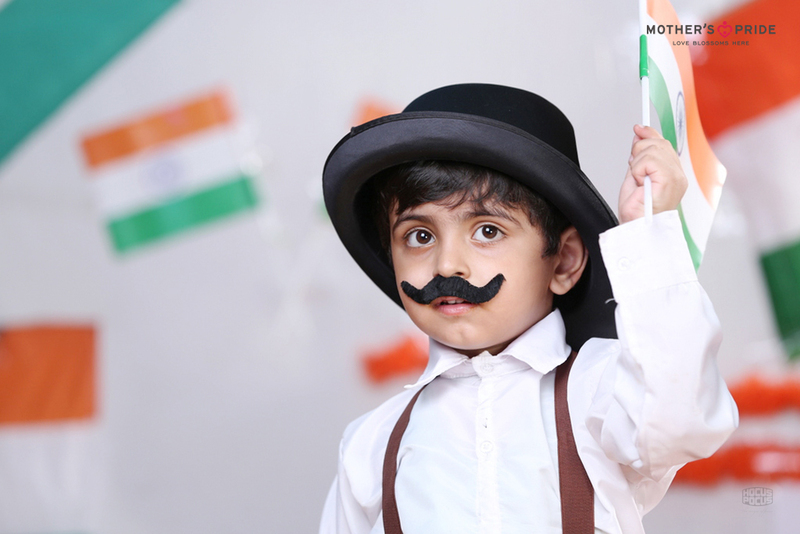 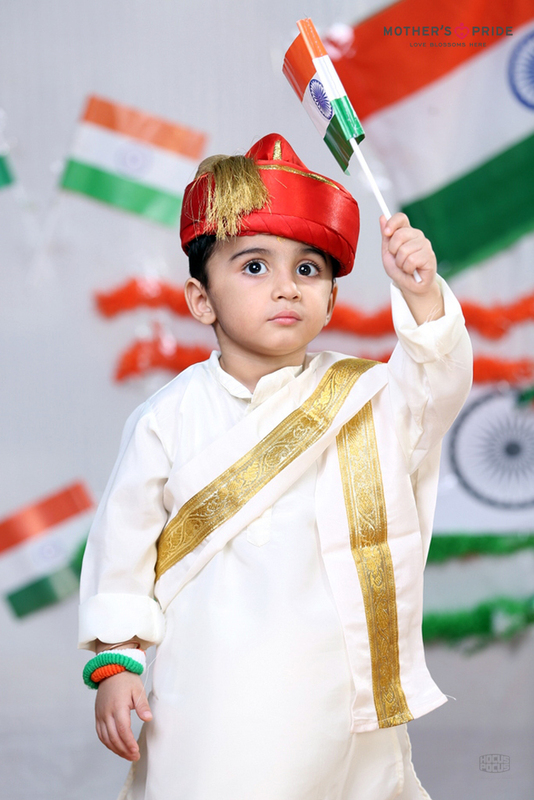 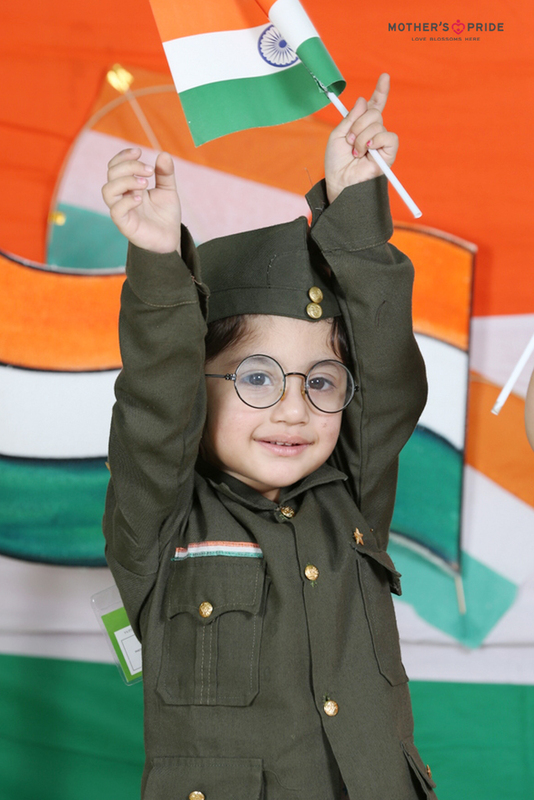 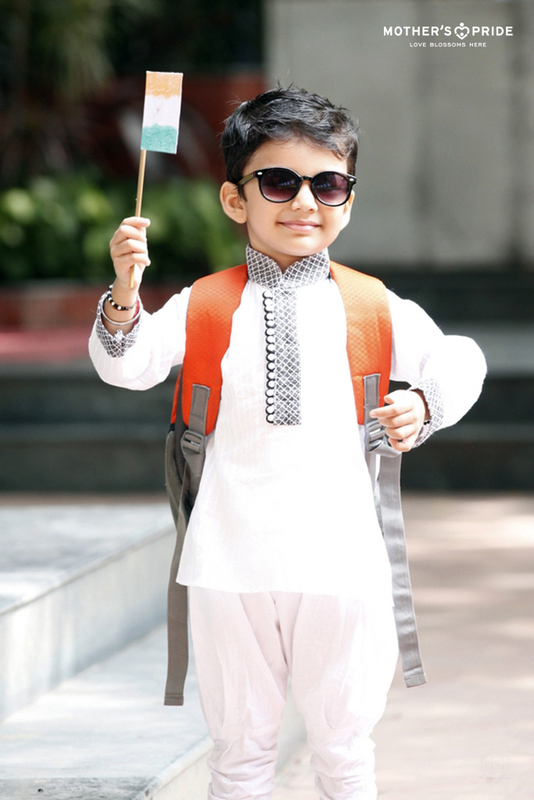 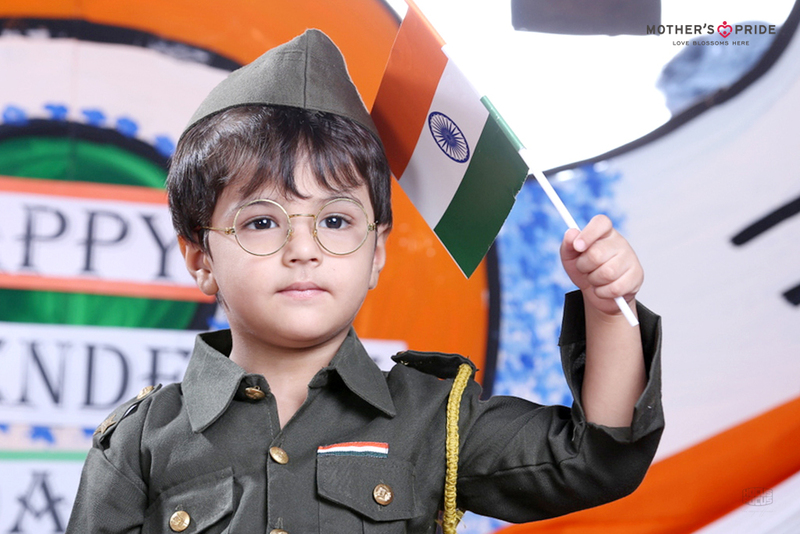 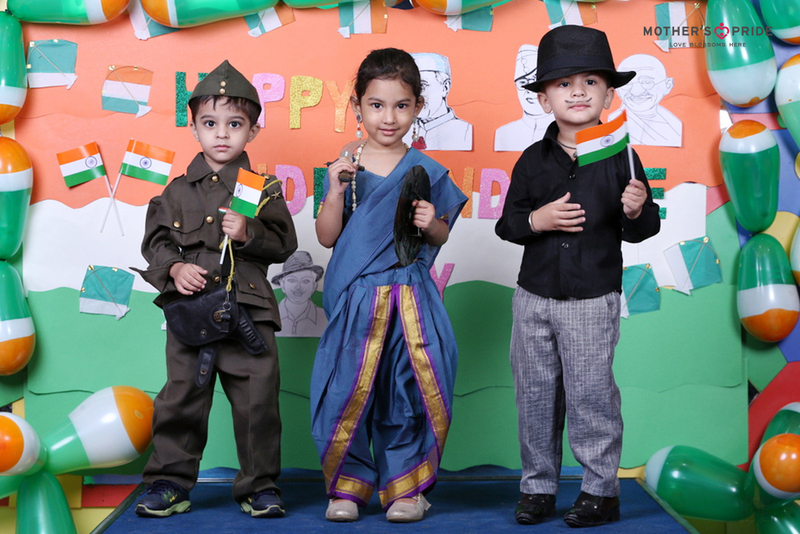 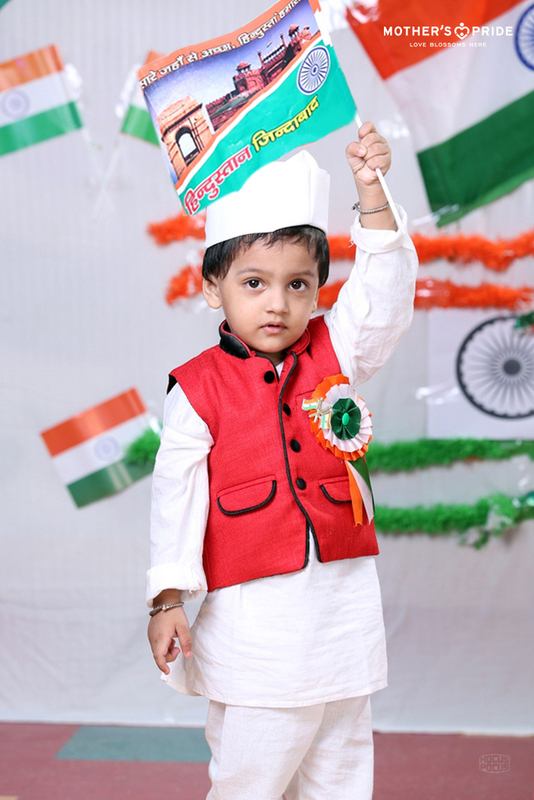 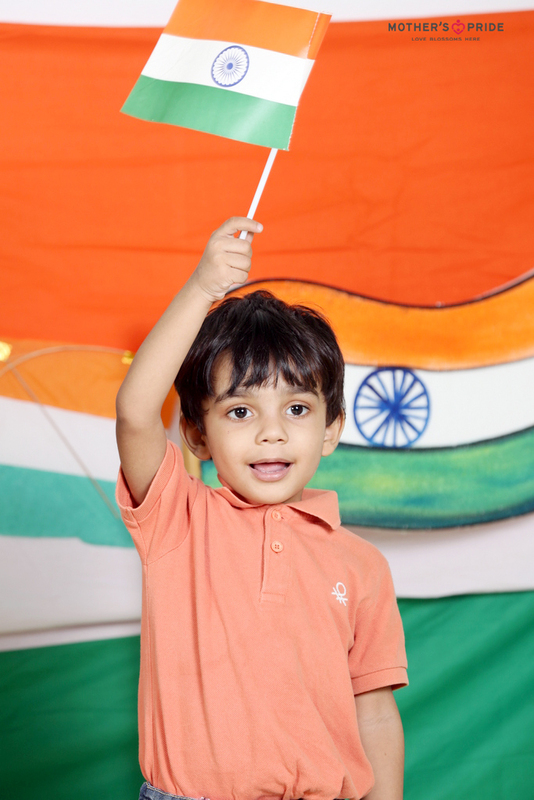 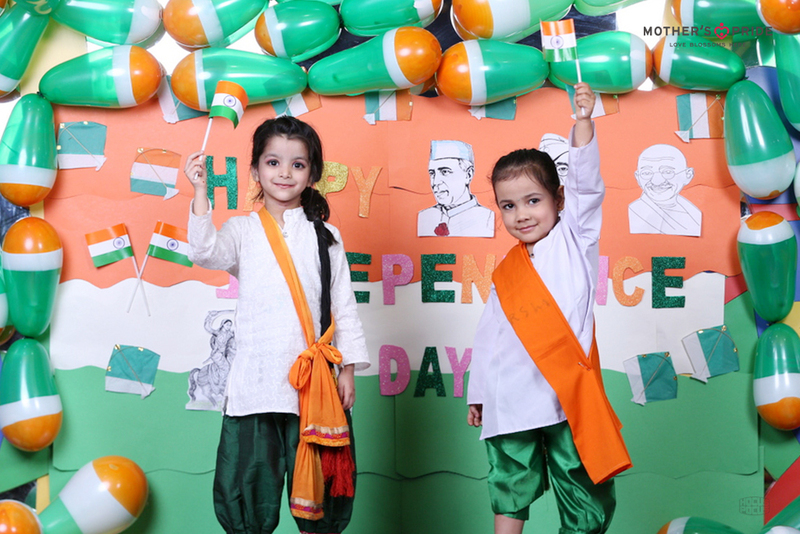 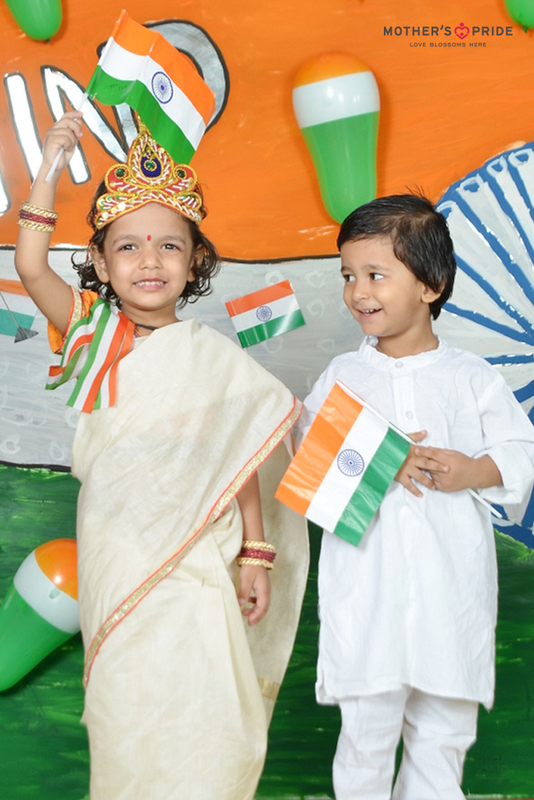 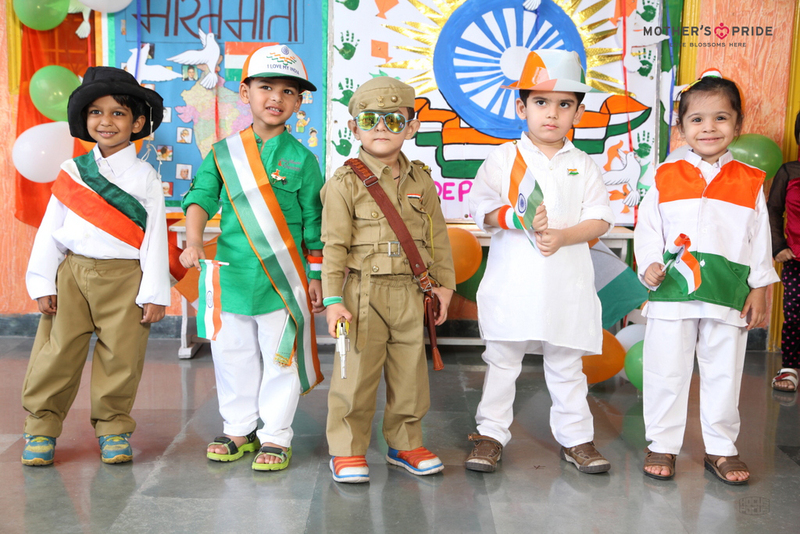 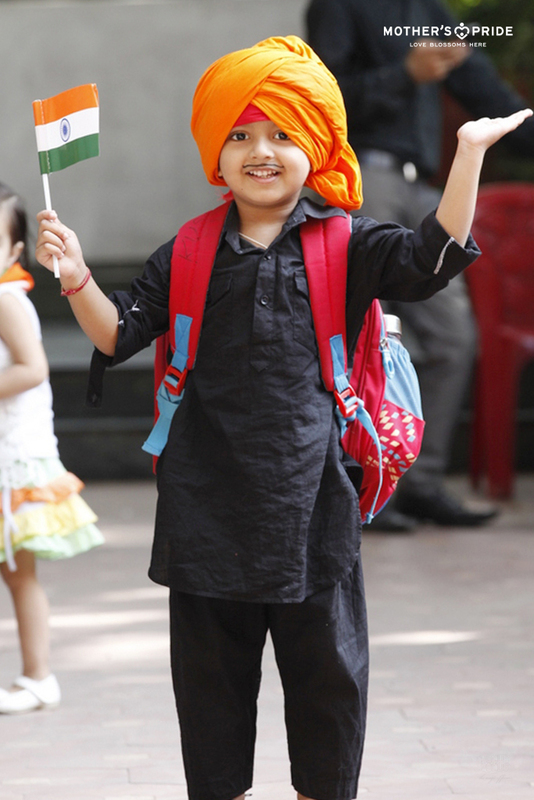 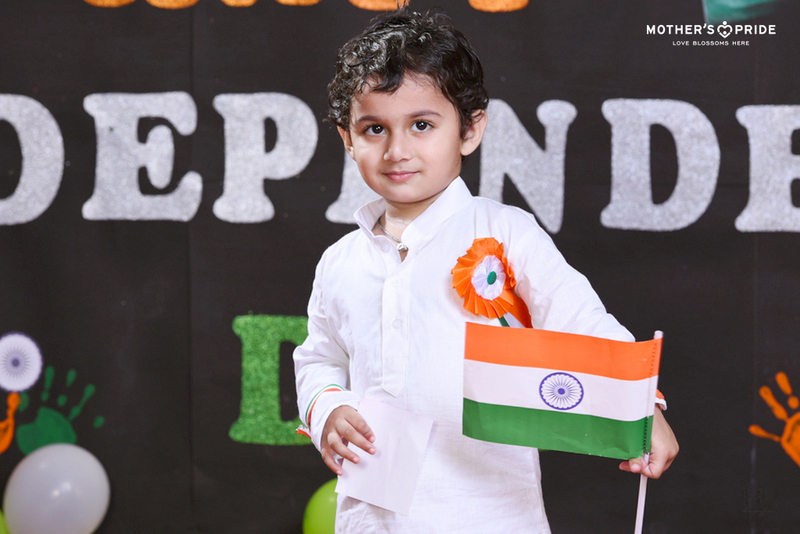 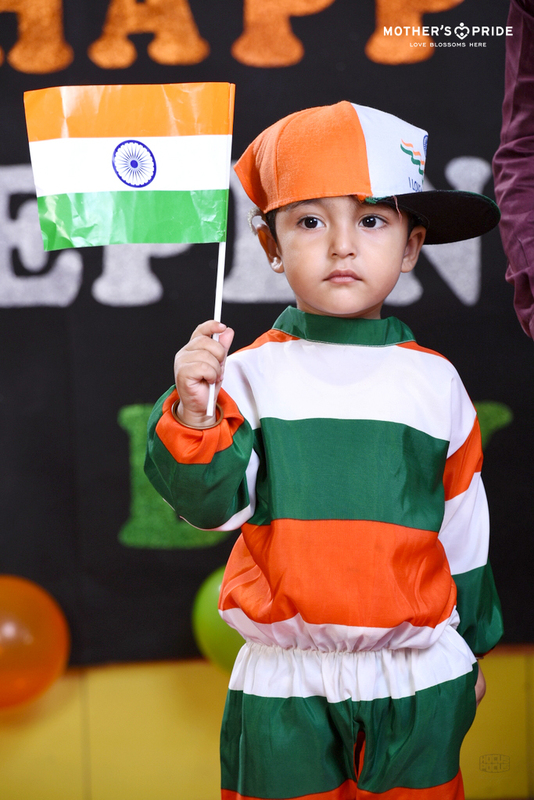 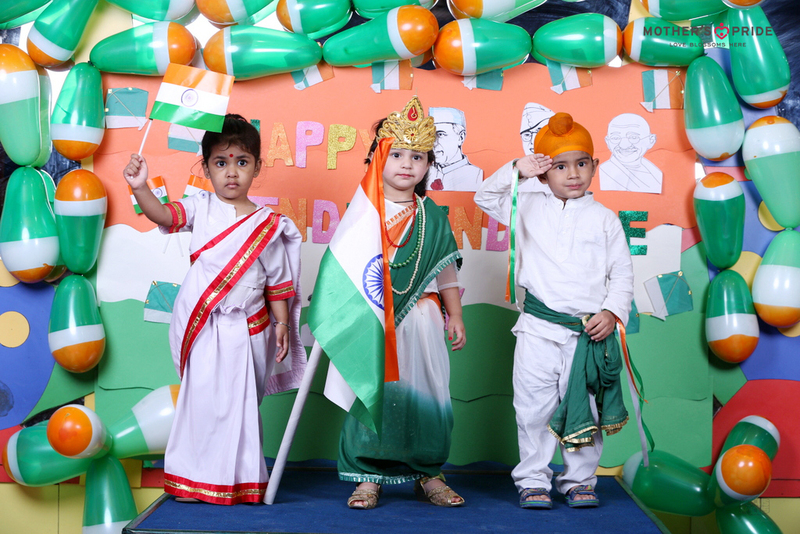 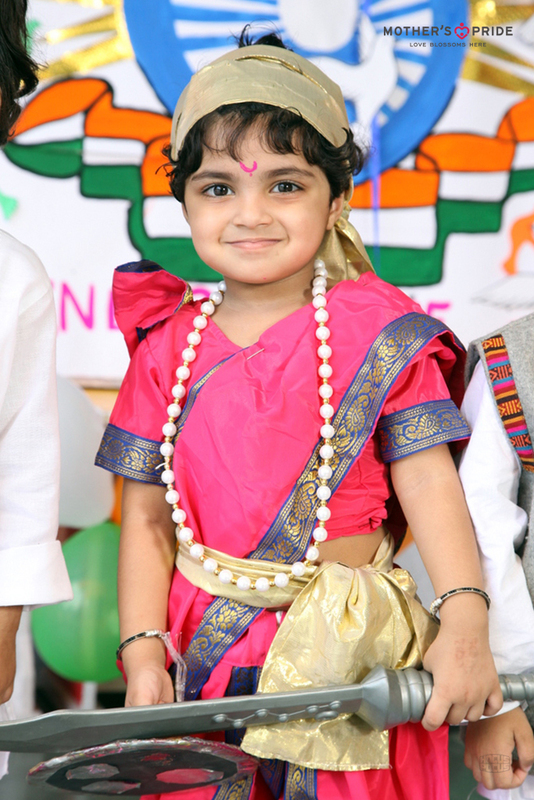 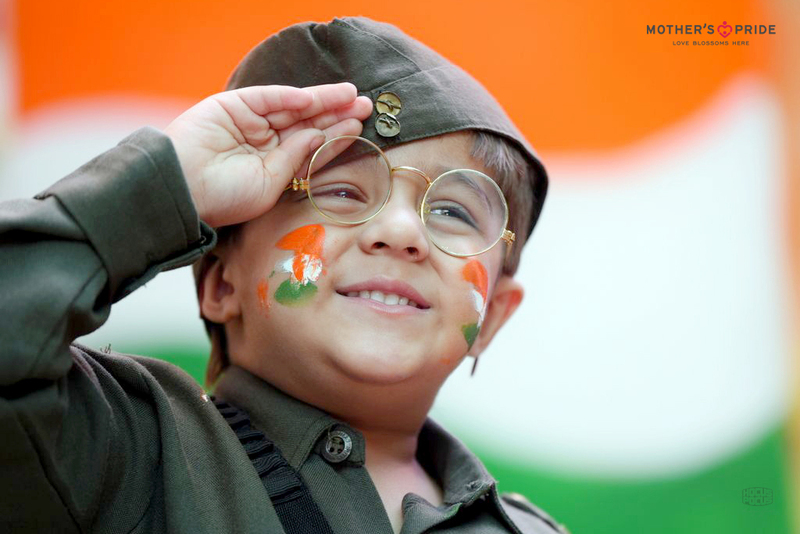 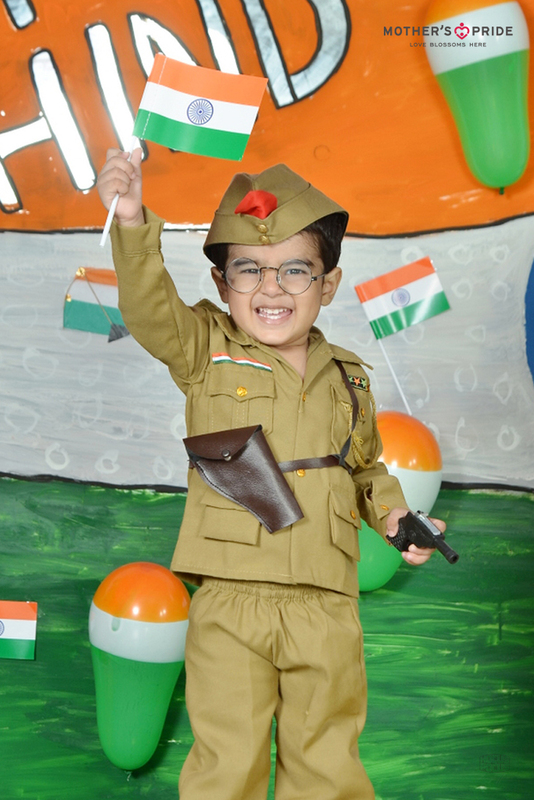 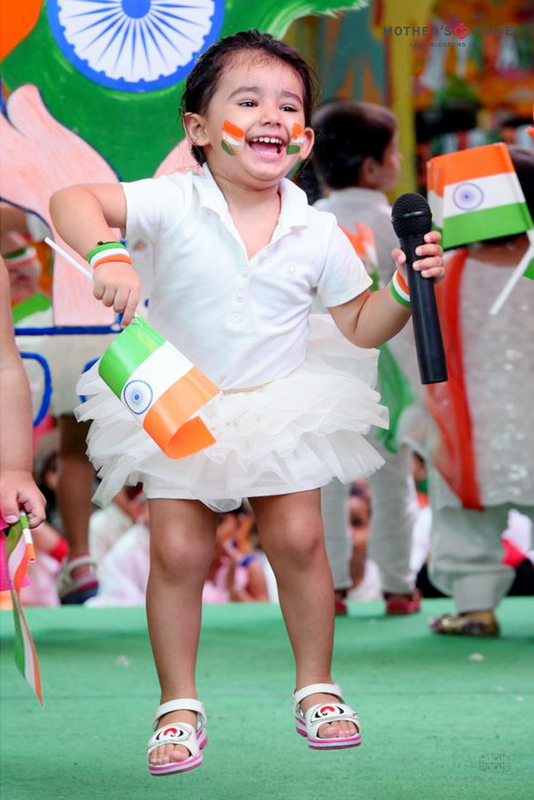 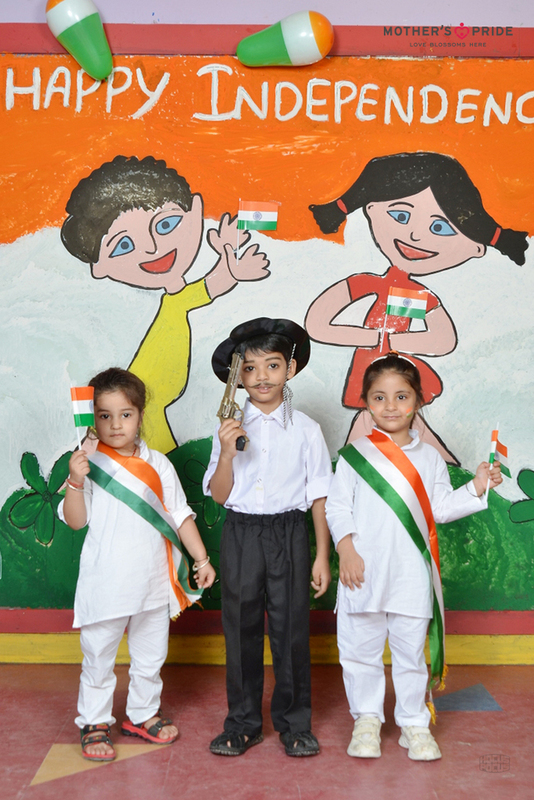 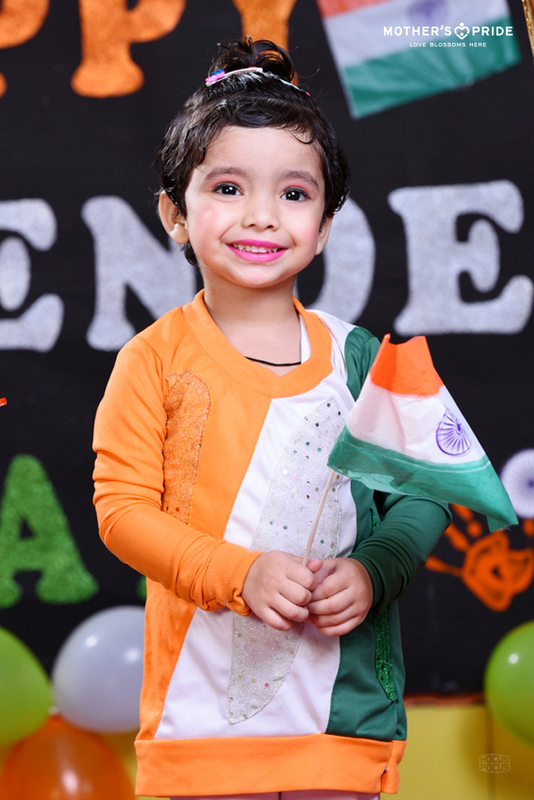 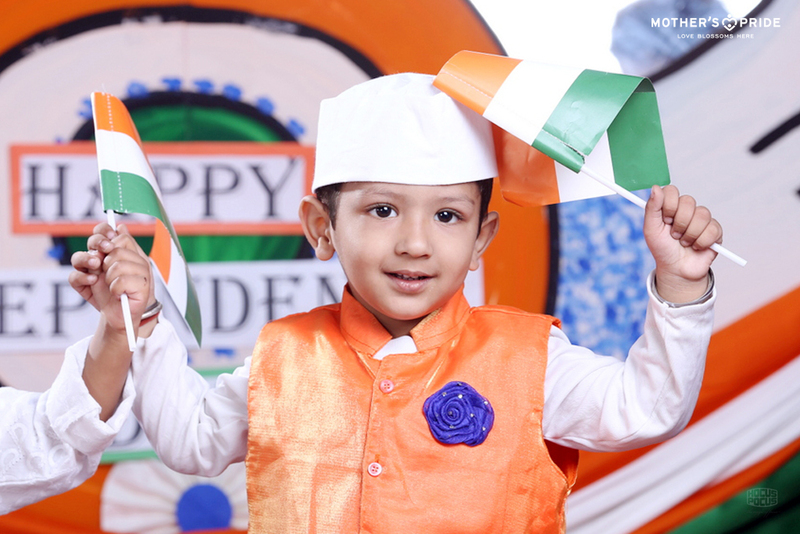 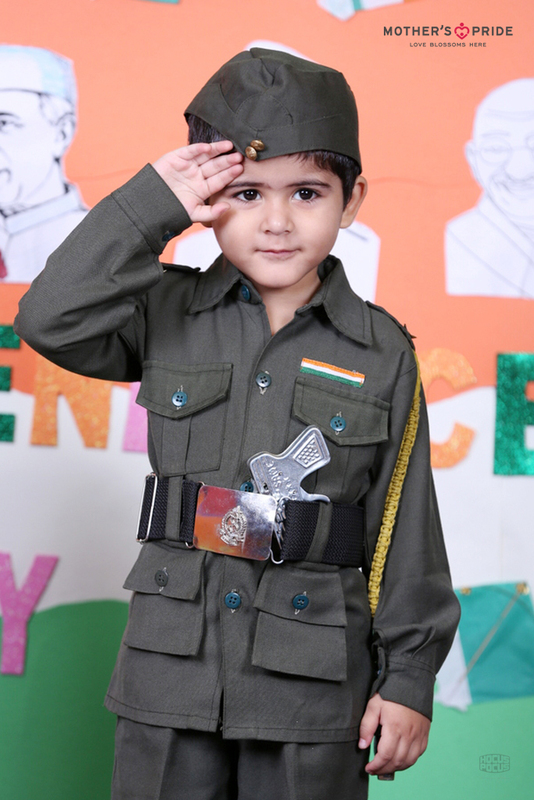 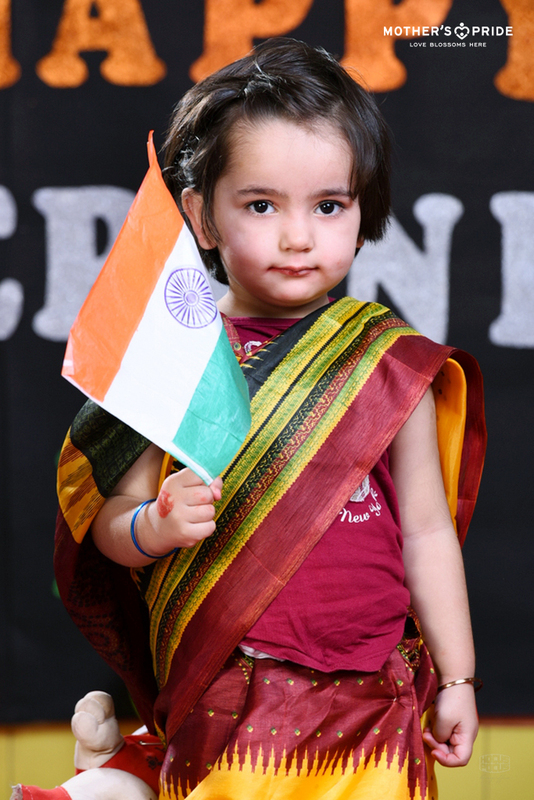 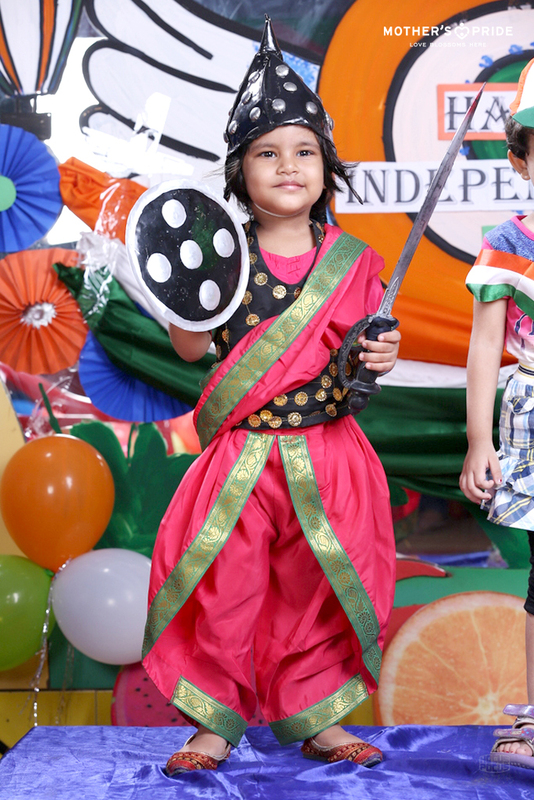 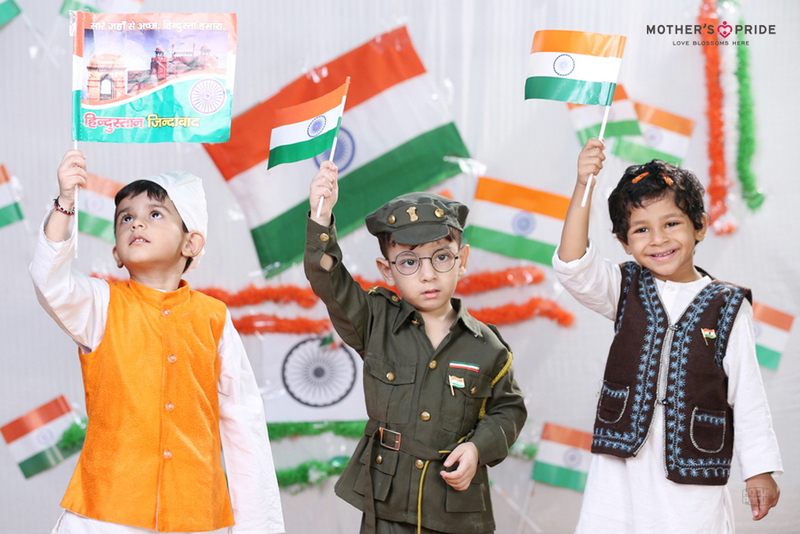 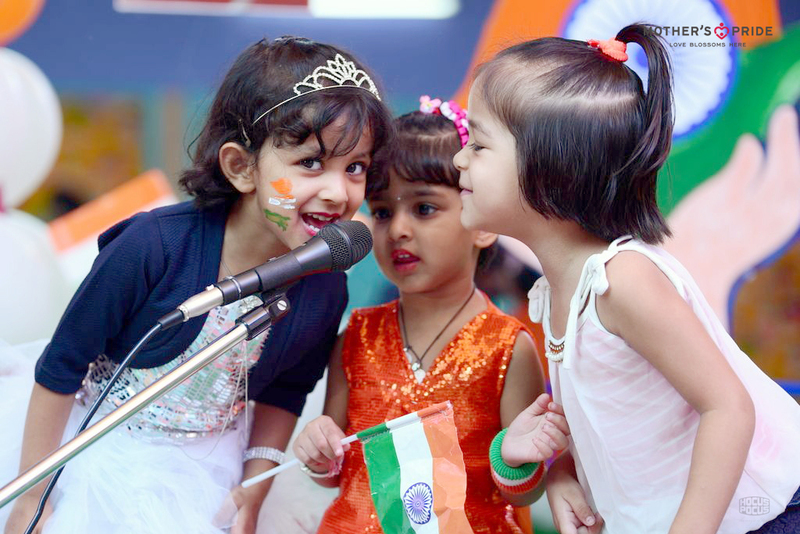 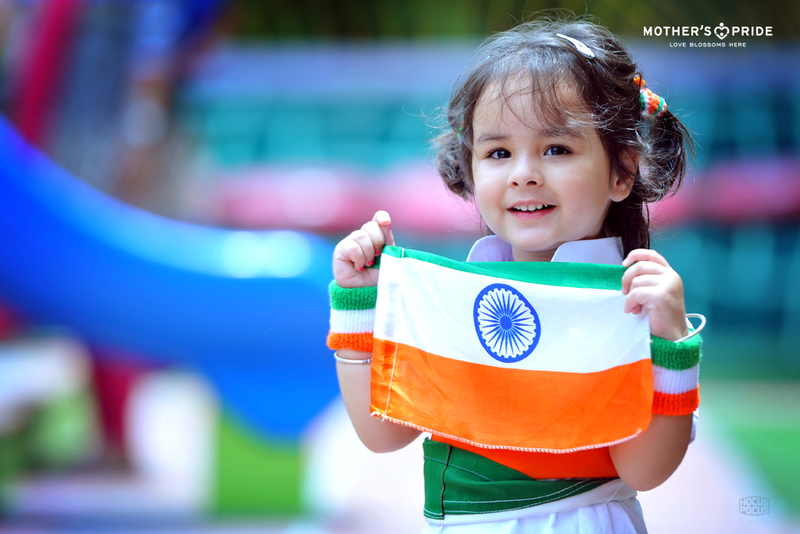 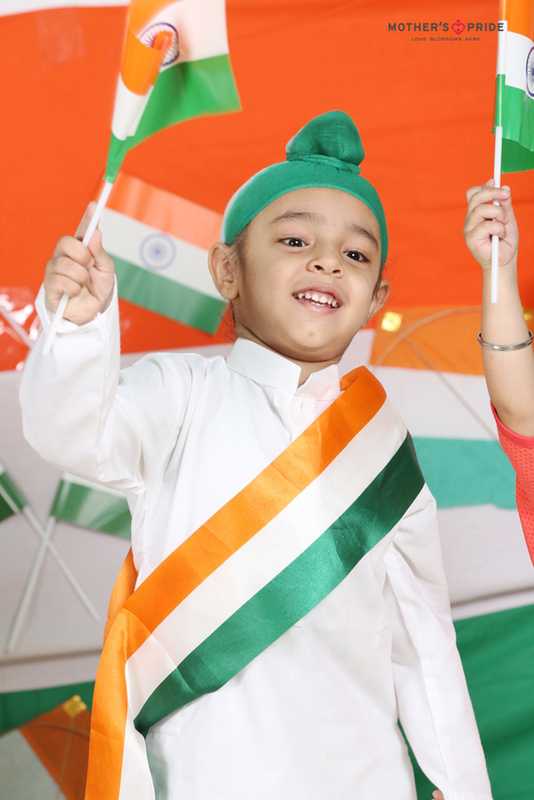 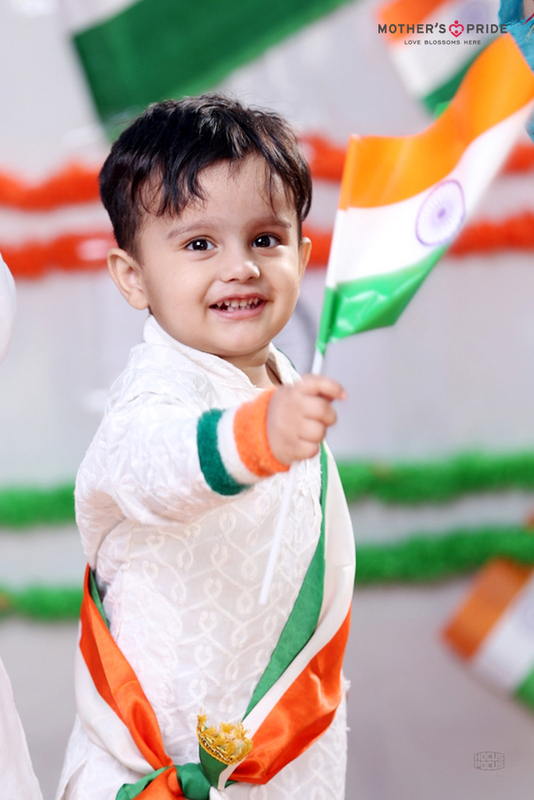 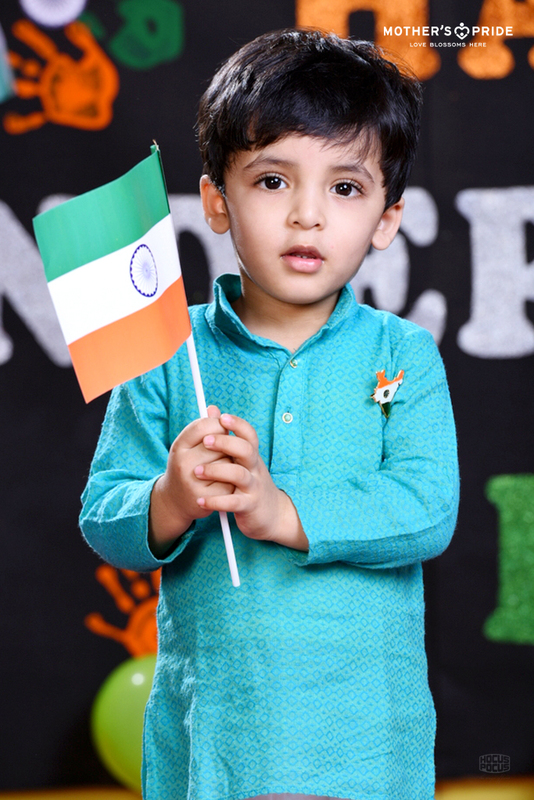 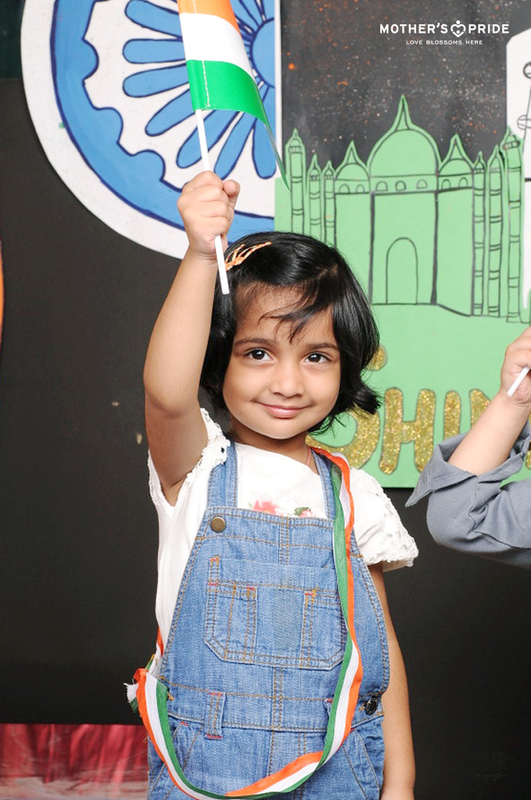 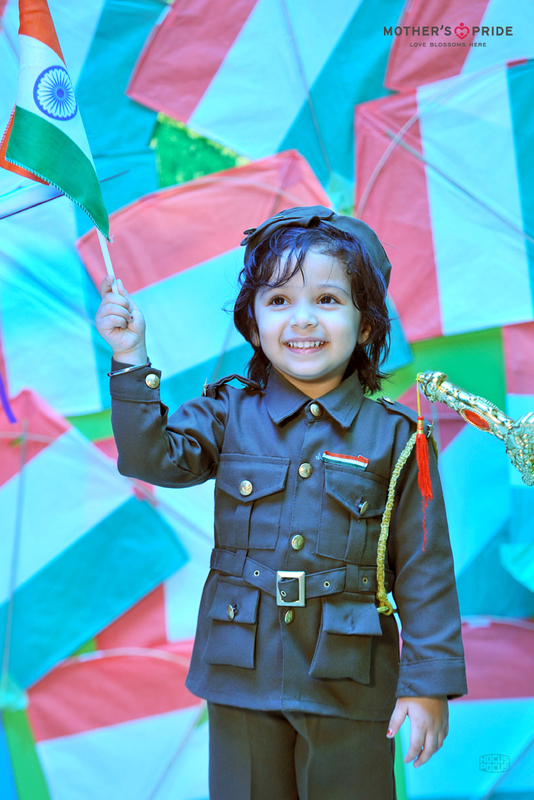 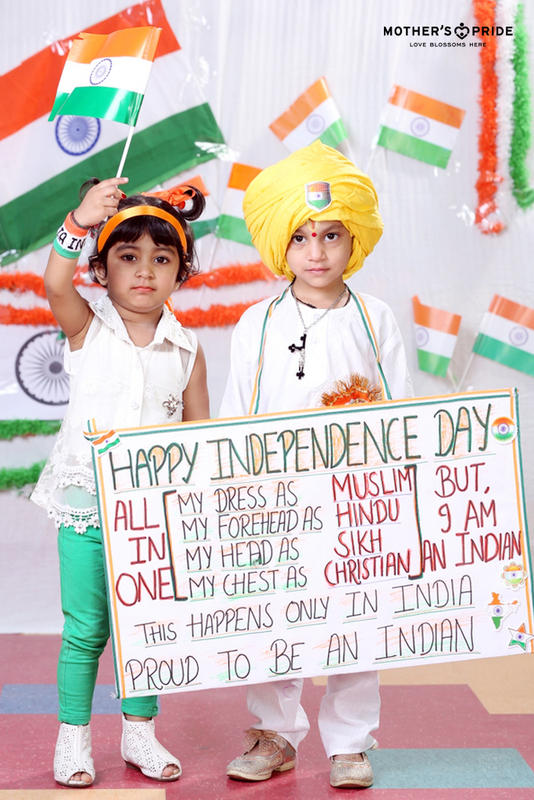 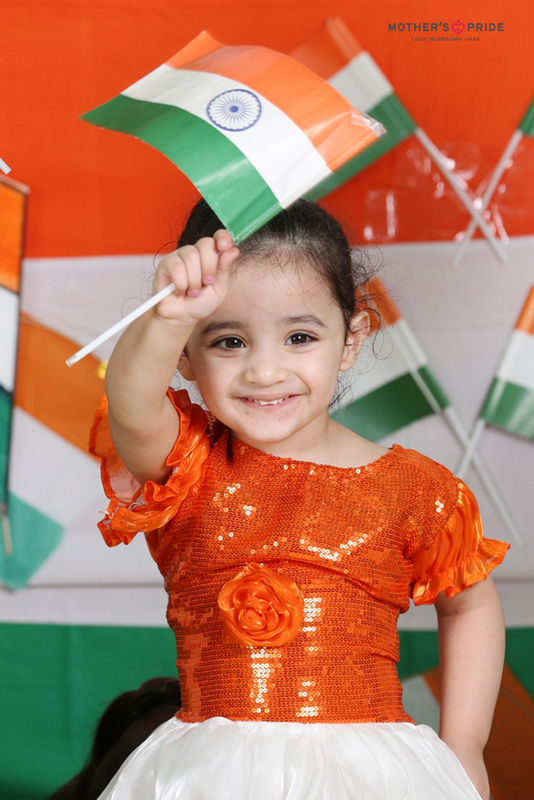 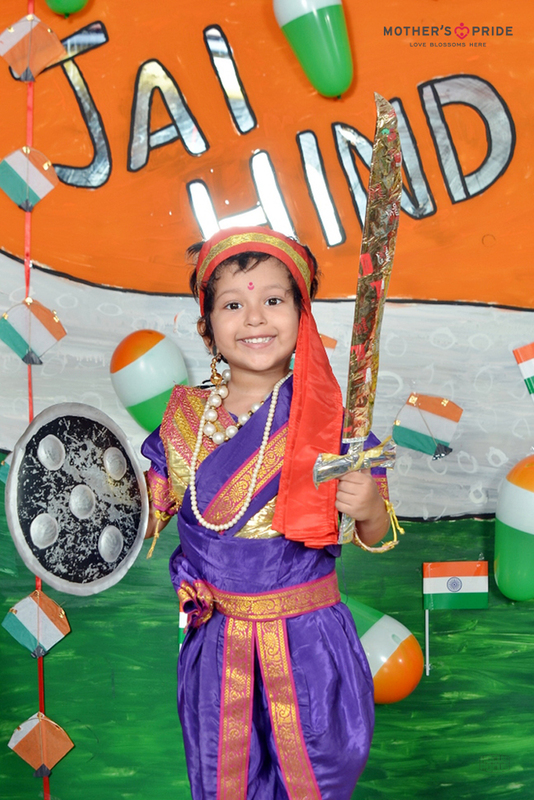 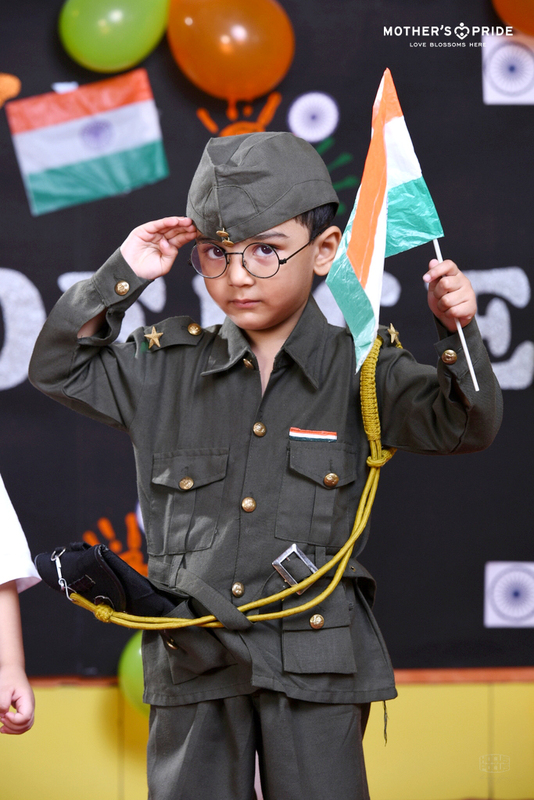 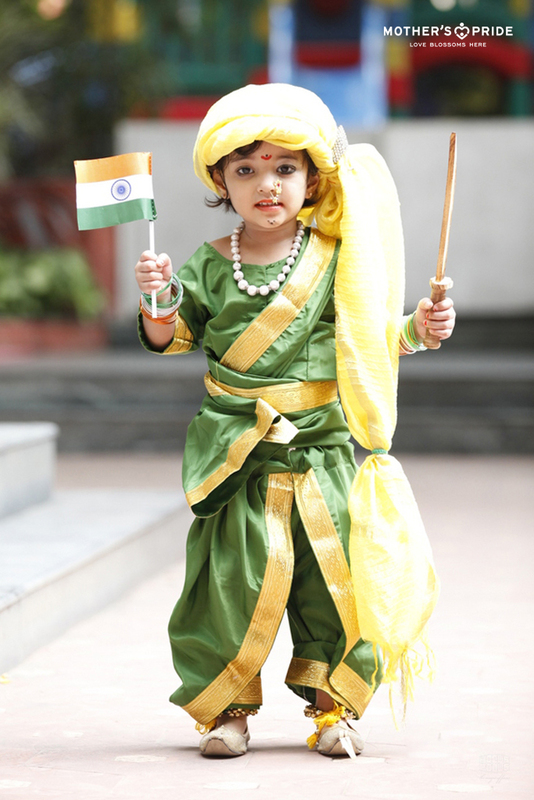 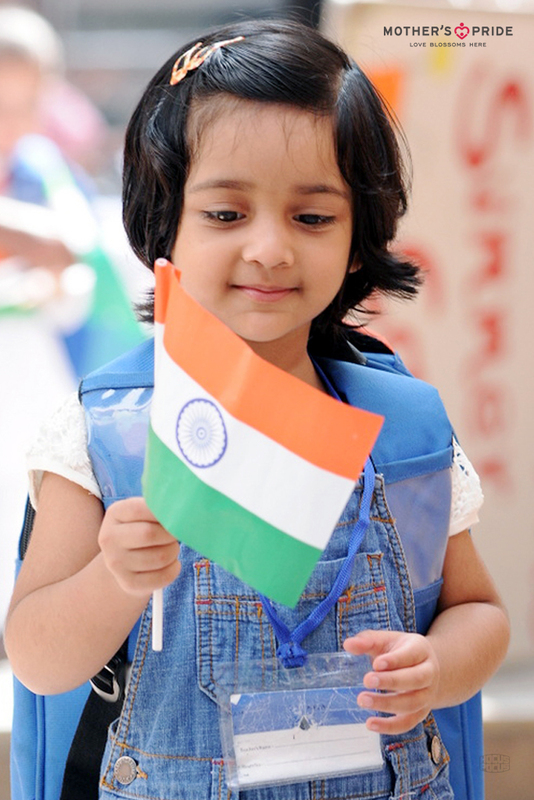 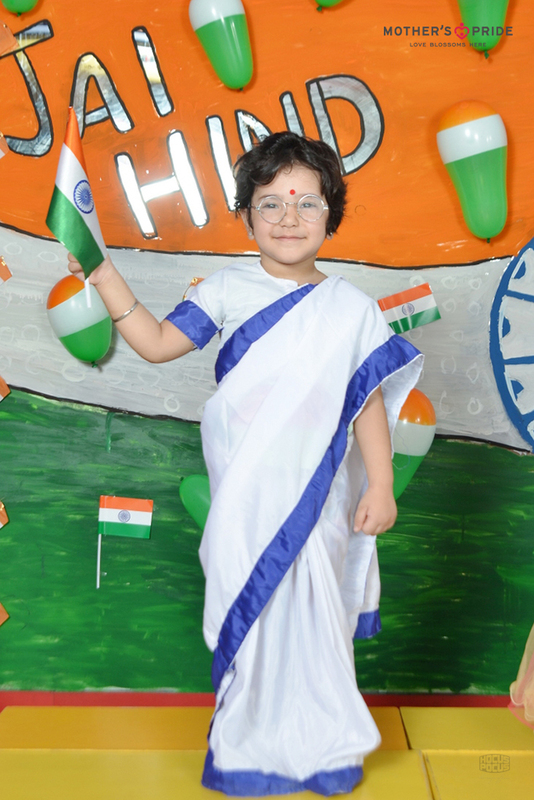 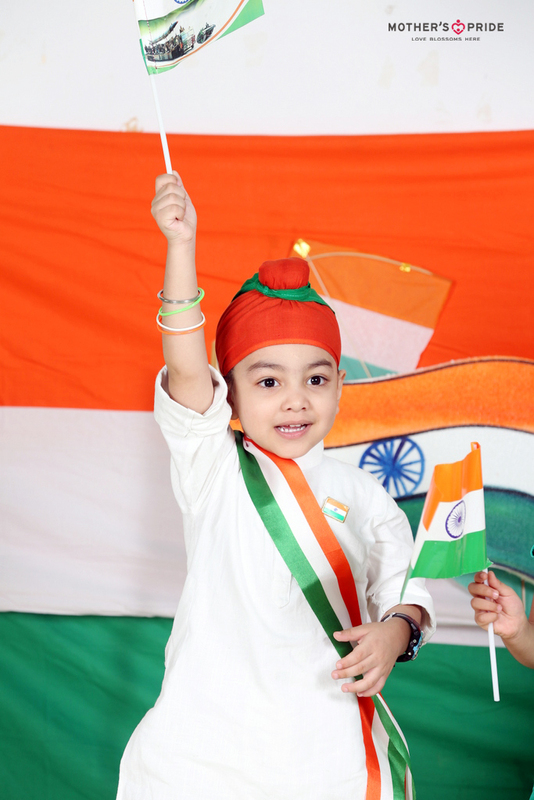 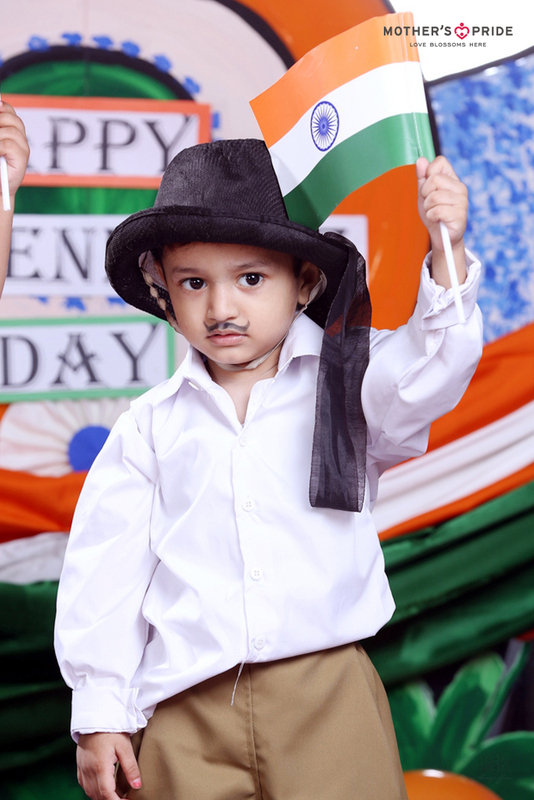 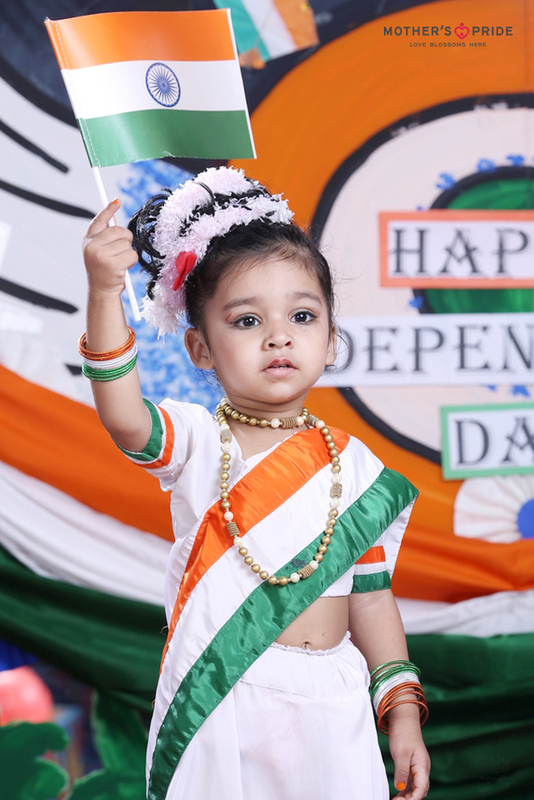 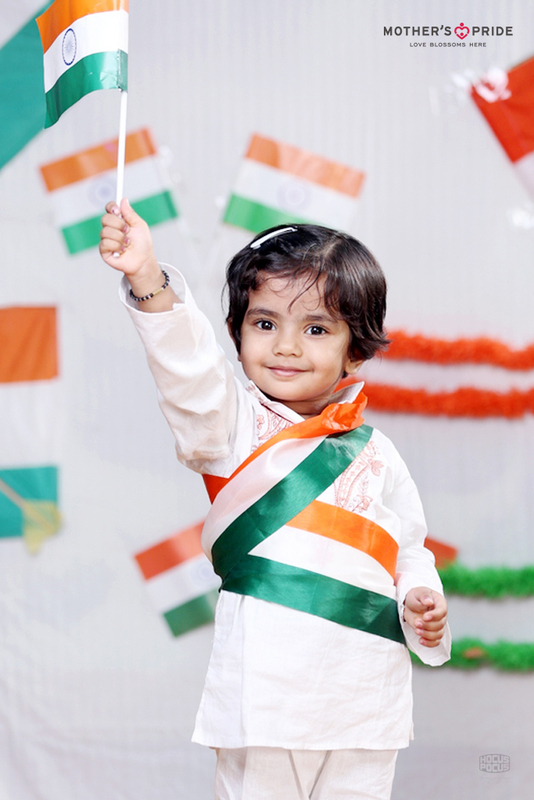 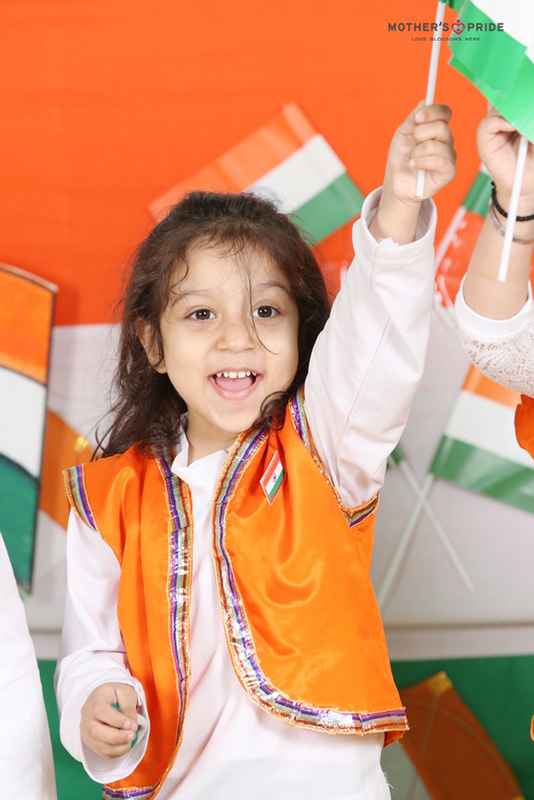 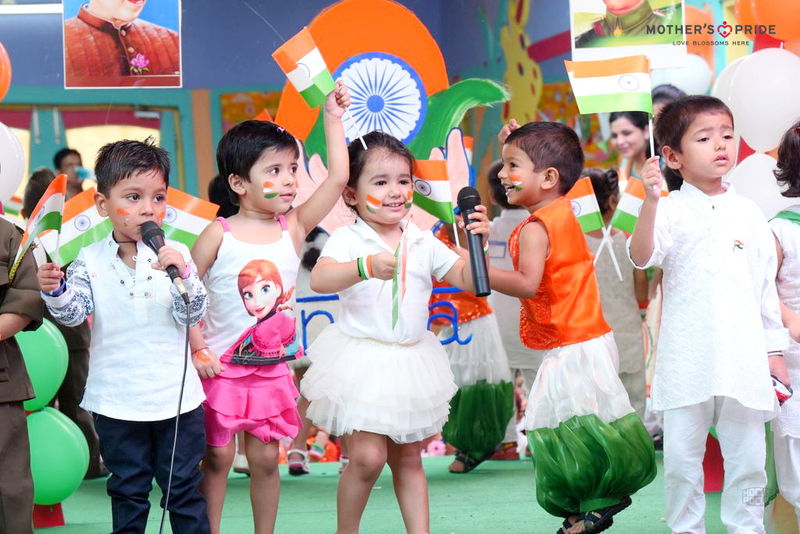 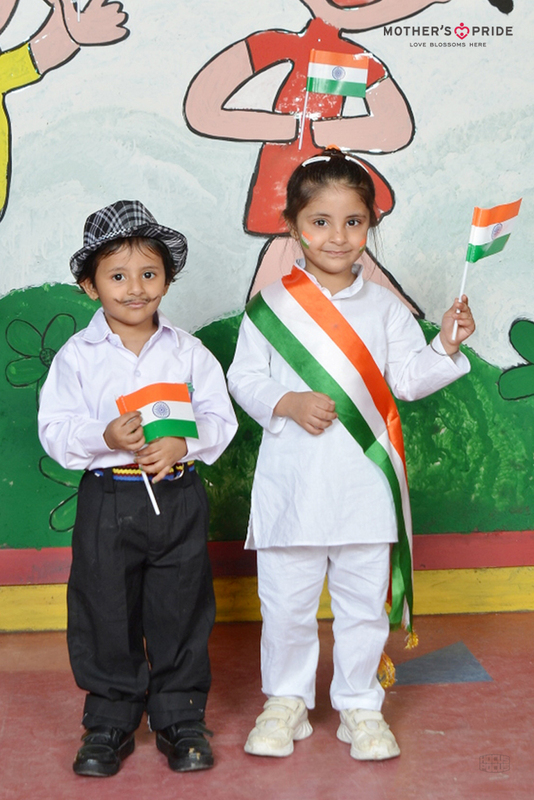 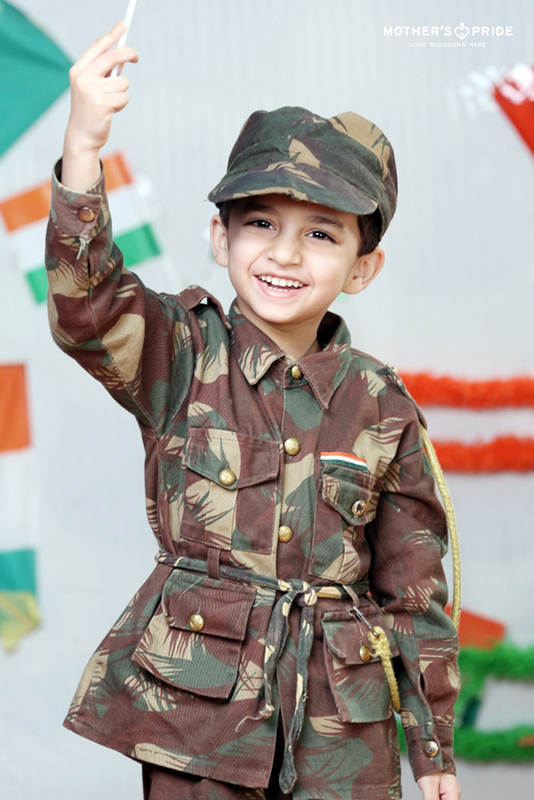 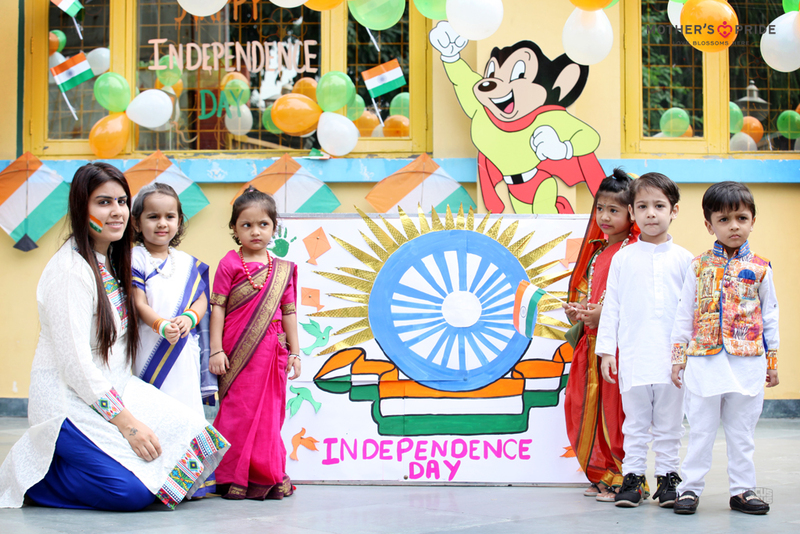 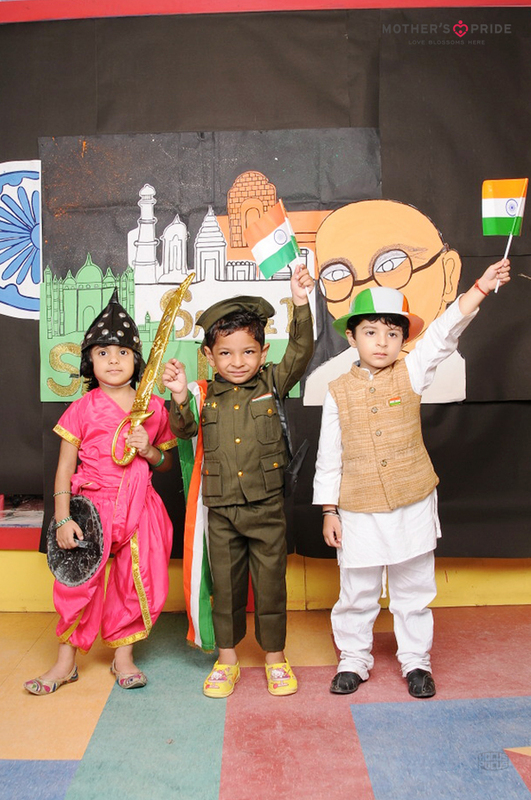 The little ones looked adorable in colorful costumes, dressed as national heroes and freedom fighters. 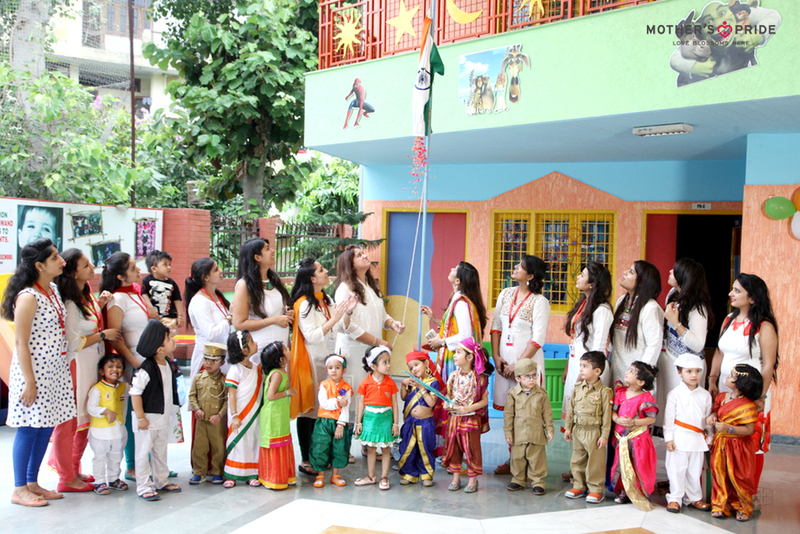 Teachers too were dressed in tri-colored clothes to add spark. 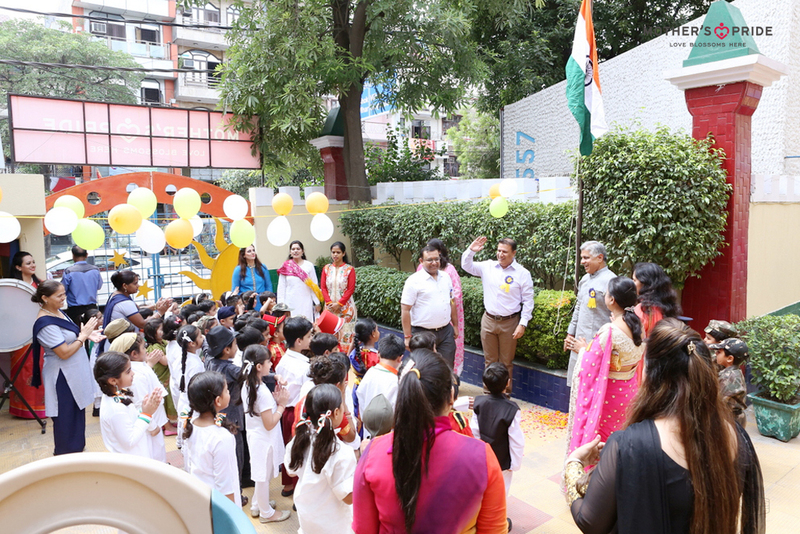 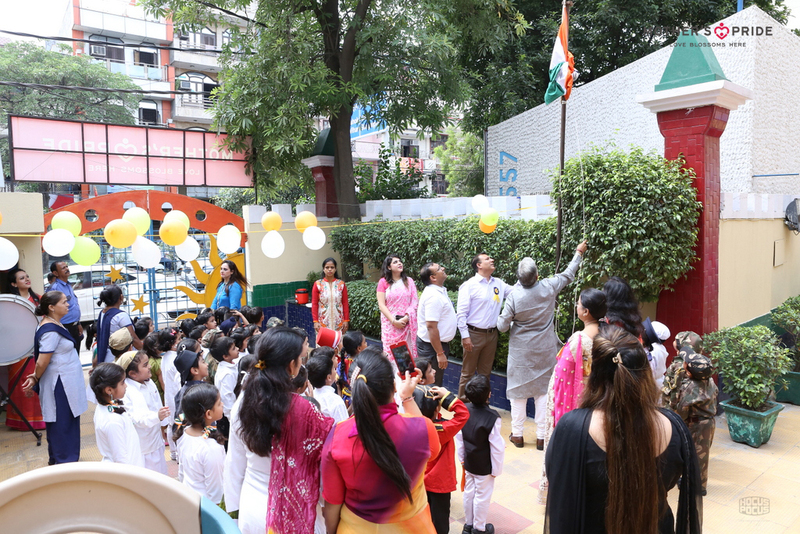 The National Flag was unfurled, followed by the National Anthem and release of tri-colored balloons. 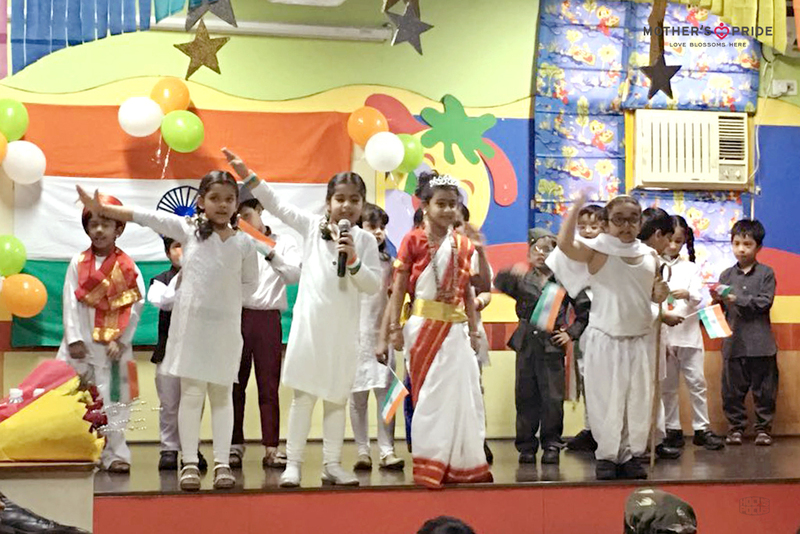 The special assembly witnessed some beautiful performances by the young Prideens that packed the crowd with the scent of ardour. 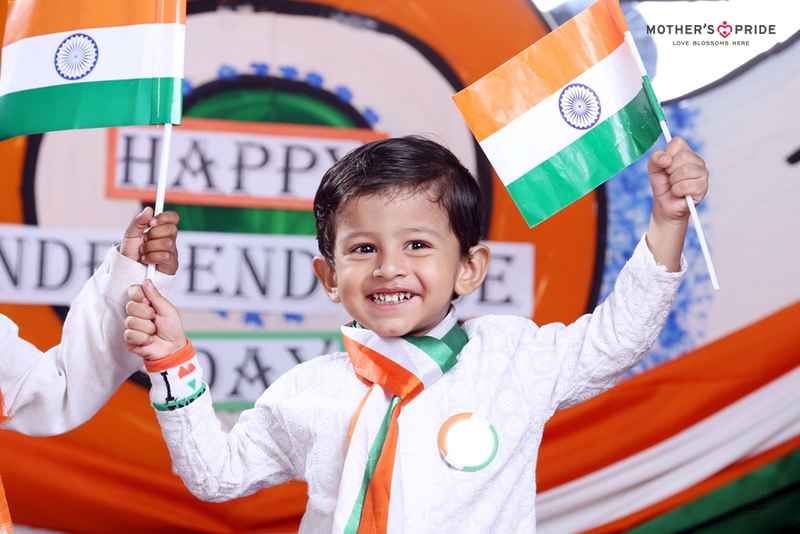 May, the spirit of freedom that brightened the aura, sparkle in the hearts of all the children for years to come.